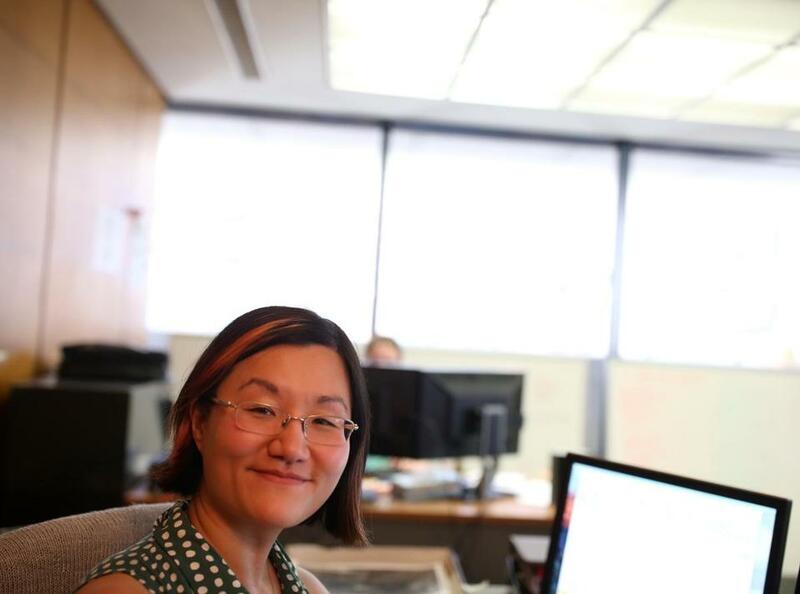 Monica Shin has been working to digitize and catalog thousands of items for Digital Commonwealth, a public online repository being built by the Boston Public Library. From Mother Goose to Mother Teresa, the Boston Public Library has been digitizing books, photos, maps, prints, and other materials. Nearly 100,000 items can be explored online, thanks to digital librarians like Monica Shin who help identify and process collections. Download spoke to Shin about digitizing large amounts of data and categorizing and organizing records. If library users want to see the online resources from the Boston Public Library, where do they go? Since 2010, the BPL has been building a repository site called the Digital Commonwealth, ensuring that images, documents, and sound recordings are available to all, whether just the intellectually curious or researchers and students. I have also been working to catalog thousands and thousands of images on the BPL’s Flickr site, which is more of an open platform for generalists. You never know how people use the information they find. One example is a flat-earth map which was getting heavy use; turns out it was being viewed by a group of believers in the flat-earth theory. But it’s a public library so information can be used however you wish. As a librarian, what practical tips/ideas/resources could you give to people organizing their own personal files or information? Figure out what kind of organization scheme makes the most sense to you. At the library, we keep our various digital projects consistent by naming things by year and project number (for instance, the second project of 2015 would be named 15_02. That helps us keep track chronologically, while also naming all the photos consecutively by number. While that may seem daunting to those with smaller amounts of digital files to organize, trust me — when collections can have over 30,000 images, it makes sense to give yourself room to grow. Keep folders tidy (physical or digital) and have an in-box or a place where you store all items which are pending. Break it down into smaller projects and keep working through. After all, Rome wasn’t built in a day. I am a pretty voracious reader and have no problem reading on various e-formats. I use all of them interchangeably. I have a Kindle, but I also access Kindle book files on my phone via the app. I use Goodreader as my primary app for looking at and manipulating pdfs and other files. As a knitter, it’s a portable pattern library. I use Feedly to keep track of blogs and news outlets and Downcast for downloading podcasts — I do a lot of desk work and having a podcast playing in the background is quite helpful. What’s the best book that you’ve read recently? “The Queen of the Tearling” by Erika Johansen. It’s an interesting first book in a young-adult trilogy. It features interesting world-building and is a really good first novel. I like to read books with women protagonists; I tend to feel a little bored by the literary suffering of middle-aged men.